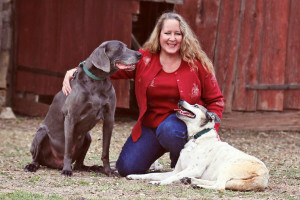 International Animal Communicator & Pet Psychic from San Antonio TX | Katalyst for Animal Wholeness, Inc.
is my mission. Being in service to animals and to people is my life’s purpose. Hello, and welcome! My name is Kat Berard, and my life’s purpose and path is to serve animals and people in many different ways and at many different levels. 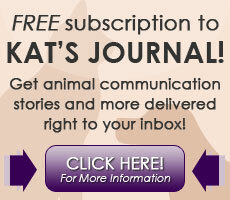 Some of the ways I do this are through the services I offer, the free bi-monthly newsletter I write called Kat’s Journal, and the information provided on this site. May you find the information on this site useful to you in some way. It is truly my joy and an honor to connect with animals on behalf of their person through a telepathic animal communication session. It is no less my joy to provide intuitive/spiritual guidance sessions for people to assist them in moving forward on their life path in positive energy and direction. After visiting the Services Offered page of this site, please contact me if I may be in service to you and/or your animal friends. Wishing you and your loved ones many blessings, and an abundance of all good things.